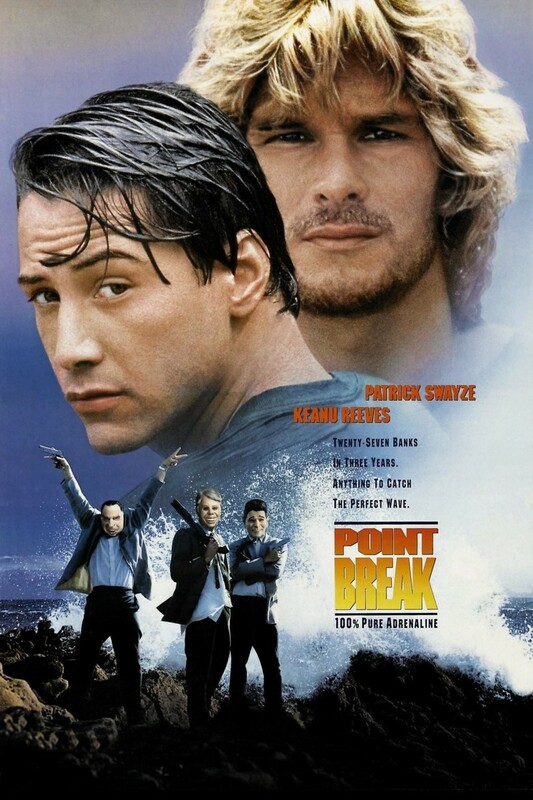 FBI agent Johnny Utah goes undercover to discover what he can about a group of criminals donning masks of past United States Presidents and robbing banks. The gang has long been a thorn in the side of the federal agency but Utah's partner, aging cop Angelo Pappas, thinks he knows who they are. Utah infiltrates the gang and builds strong bonds of friendship with several of the members. He takes part in their last heist and ends up a hostage once his duplicity is discovered. The gang leader Bohdi escapes and is eventually tracked to Australia. In the middle of a storm with epic waves, Utah confronts Bohdi on the beach only to allow him one last chance at surfing. Bohdi swims out to meet the waves and is overtaken and drowns.